Black Hills Weddings photography shoots take place in some of the most beautiful locations on Earth. Ponderosa pine covered mountains bathed in sunshine create a tranquil backdrop for Black Hills Weddings. The spring and early summer months are the most popular for mountain weddings. But of course, any time is good. Even winter is eerily beautiful. BlackHillsPhoto.com specializes in photo-journalism wedding shoots that draw out the unexpected and candid at the wedding. It's much like one might see in a magazine shoot. Guests and participants are caught in the excitement and spontinaity of the moment. This form the artistic and cutting edge of wedding photography, today. Of course, we do the traditonal shots, too. You can even go online to easily pick photos to print. So, can your family and guests. It's very popular. Very cool Roughlock Falls photos, a beautiful place for a ceremony. Winter photos in Palmer Gulch. A few Biker Weddings Photos. Photojournalism during a project while trekking Nepal. Bill Clinton photo coverage. Specializing in photo-journalism wedding shoots to catch the candid moments. From a magazine photo specialist. Deadwood weddings and hotels in the northern Hills. 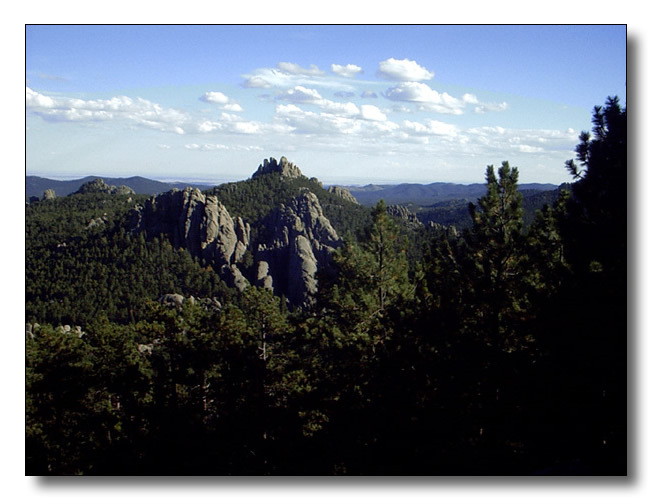 Black Hills Bed and Breakfasts links and addresses to some that are available. Dozens of attractions dot the Black Hills and Badlands. This is one of the top family destinations in the United States.